We researched and included a selection of price ranges with great reviews to save you precious time in Nola. Want a quick list of petfriendly hotels? Do a search on my favorite, Trip Advisor, already filtered for New Orleans, Louisiana, and petfriendly: here is the link. Or Book using Hotels.com. My strawberry hand-picked selection is below! 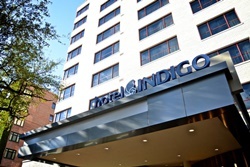 Hotel Indigo New Orleans - BOOK IT! The Old No. 77 Hotel & Chandlery -BOOK IT! $$$ A 3-star hotel, ensuring high-quality service and amenities. If you love having an abundance of options when it comes to taking a room, this is an ideal place for you. New Orleans Amtrak Station is a busy hub taking you to all the points of interest in and around New Orleans. 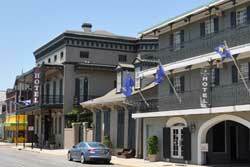 From this hotel, you can easily reach French Quarter and Café Du Monde. Not far away, Audubon Zoo offers fun times. A few minutes' walk leads to the interesting Historic Voodoo Museum. The pet’s weight must be below 30 lbs. 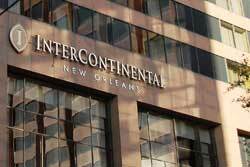 Intercontinental New Orleans - BOOK IT! $ Stylish rooms, outdoor pool, a business center, 15th floor health club, AND on the St. Charles Avenue Mardi Gras parade route. 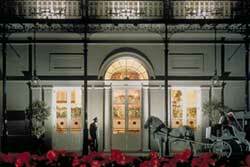 Omni Royal Orleans Hotel - BOOK IT! $ Located one block from Bourbon street and close to numerous cute antique shops, this 19th century New Orleans decorated hotel already gets two paws up --- oh and did we mention a rooftop pool that allows a full view of the Mississippi River? The pet’s weight must be below 25 lbs, and the maximum number of pets per room is 2. Royal Sonesta Hotel - BOOK IT! $$$ Right on Bourbon street! Certain rooms can open onto the street or into an inner courtyard for more privacy. Hungry? Just head down to the famous bistro, Desire Seafood & Oyster Bar. Feel like dancing? Go down to the lobby level to dance the night away at Irvin Mayfield’s Jazz Playhouse! 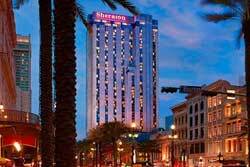 Sheraton New Orleans Hotel -BOOK IT! $ Right on Canal Street, with a pool! Please note that this hotel allows DOGS ONLY! And NO additional fees! A Sheraton Sweet Sleeper Dog Bed is provided for your pet, as well as a Pet Welcome Packet with a list of local activities to do with your pet! 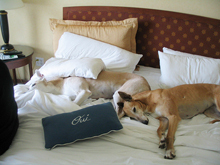 HOWEVER, the dog(s) may not be left unattended in guest rooms at any time – even if kenneled. The pet’s weight must be below 40 lbs, and the maximum number of pets per room is 2. 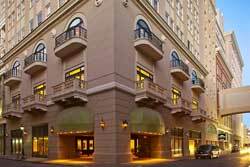 The Iberville Suites -BOOK IT! 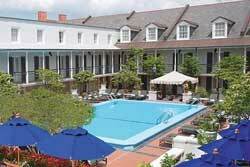 $$$ With 230 rooms, a swimming pool, a spa service, and a fitness facility, this lovely hotel is located at the edge of the French Quarter. Even more amazing – there’s childcare/babysitting services! This truly is the best kept secret in the French Quarter! French Quarter Suites Hotel - BOOK IT! 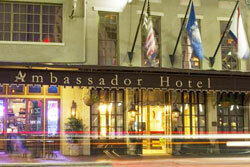 $$$ Looking for a cozy, luxury yet authentic New Orleans stay? Look no further! 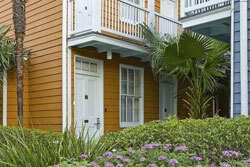 This hotel offers pet-friendly rooms, suites, as well as town houses for rental to large groups. Don’t forget the courtyards and two pools! Plus, these locations are just steps away from the Armstrong Park. Non-refundable pet fee: $25 per night per pet. Quality Inn - BOOK IT! $$$ Charles Quality Inn & Suites is quite a large hotel in New Orleans. These hotel rooms are rated with a 2 star category. New Orleans Amtrak Station is the station that is easiest to reach if you come by public transport. Audubon Zoo is a playful attraction to visit from here. Breakfast is taken care of (at no extra cost) if you stay at Maison St. Charles Quality Inn & Suites. An outdoor swimming pool, a spa tub are available. 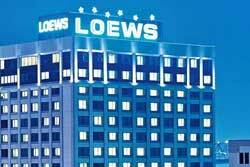 Loews New Orleans Hotel - BOOK IT! $$ Just 25 minutes from the Louis Armstrong International Airport, Loews New Orleans Hotel might be the most luxurious and pet-oriented hotel yet! This hotel includes a fitness center, business center, childcare services (including Loews Loves Kids Program with kid activities! ), more. It also includes a VIP (Very Important Pet) Program -- pet guests receive a bowl, treat, and pet tag. Other pet amenities include: gourmet room service menus for cats and dogs, creature comforts such as pet beds and litter boxes, and pet-walking and pet-sitting services. To this hotel, we’d have to say: Who’s on vacation – us or our pets? ?